1. India's Leander Paes with his Swiss partner Martina Hingis won the US Open mixed doubles title in New York. They became the first team since 1969 to win three Grand Slam mixed doubles titles in the same season at the US Open. The fourth seeds defeated non-seeded American duo Sam Querrey and Bethanien Mattek-Sands 6-4, 3-6 (10-7) in the finals of mixed doubles. 2. Renowned Hindi writer Uday Prakash has returned his Sahitya Akademi Award as protest against the recent killing of Kannada litterateur M.M. Kalburgi, and in disapproval of the national literary body's deafening silence over the assaults on writers. The 63-year-old writer had received the award in 2010 for his creation 'Mohandas'. 3. 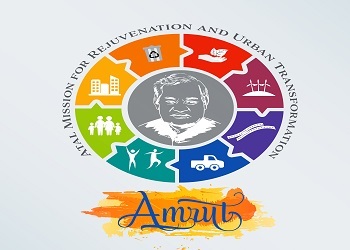 Rajasthan has become the first state in the country to submit State Annual Action Plan under Atal Mission for Rejuvenation and Urban Transformation (AMRUT) targeting universal coverage in respect of water supply connections and sewerage connections to all urban households in the state. The State Government has proposed projects under these two categories worth Rs.1,087 cr for approval by the Union Urban Development Ministry during the current financial year. Under the State Annual Action Plan, AMRUT projects are proposed to be taken up in 13 of the 28 AMRUT cities in Rajasthan. 4. Qatar's emir has appointed an ambassador to Iraq, the first since the embassy was closed 25 years ago, in the latest sign of a thaw in relations between Gulf Arab countries and Iraq. The Emir of Qatar Sheikh Tamim bin Hamad al-Thani had issued a decree appointing Zayed al-Khayareen as Qatar's ambassador to Iraq. 5. The UN General Assembly gave its overwhelming approval to a Palestinian resolution which permits the flag of Palestine to fly at the UN Headquarters in New York, despite this country not being a member of the UN. There were 119 votes in favour out of 193 UN members while the United States and Israel were among eight countries that voted against the Palestinian-drafted resolution. Palestine described this as a major step toward full UN membership. Most of the 28-nation European Union were among the 45 nations that abstained from voting. 6. The First Minister of Northern Ireland resigned. Peter Robinson stepped aside and pulled ministers out of the government – plunging the province back into political crisis. The mass walk-out was sparked by the murder of ex-IRA man Kevin McGuigan in Belfast last month. 7. India and Australia began their first bilateral naval exercise that will focus on anti-submarine warfare as the two countries look at deepening defence cooperation especially in the Indian Ocean. AUSINDEX-15 is being conducted off the east coast of India from September 11-19. 8. World football governing body FIFA has appointed Uganda's Moses Magogo on the committee for security and integrity. Ahmed Hussein, spokesman of Uganda's football governing body received a communication from the Federation of International Football Associations (FIFA) about the appointment. Magogo is also a member of Confederation of African Football Inter-clubs competitions committee. 9. India Test captain Virat Kohli recently acquired stake in UAE Royals, a franchisee team of Indian Premier Tennis League (IPTL) to become a co-owner of it. Virat Kohli became a co-owner of UAE Royals, which is one of the five franchisee teams of the Mahesh Bhupathi promoted IPTL. UAE Royals will be led by Swiss great Roger Federer. 10. China has build the world's longest solar park in Pakistan. Pakistan will get about 100 MW electricity with the help of this solar park. China has installed around 400,000 solar panels to build the world's longest Solar Park. The park is being installed on 200 hectares.